Masayuki Ito returned home to Japan for his first world title defense. Ito successfully retained his WBO super featherweight title against mandatory challenger Evgeny Chuprakov. Ito dominated Chuprakov until he stopped him in the middle of the seventh round to win the fight, which took place in Tokyo. The 27-year-old Ito had no problem landing his right hand throughout the fight. Ito outboxed Chuprakov throughout the fight but things got physical at various times, causing both men to suffer cuts. Ito threw a flurry of punches to Chuprakov in the seventh round that stunned him and eventually punished him until the referee stopped the bout. This was Ito’s first world title defense since beating Christopher Diaz to win the vacant back in July. The title was last held by Vasiliy Lomachenko. Also on that card is a WBC light flyweight title defense from Ken Shiro. 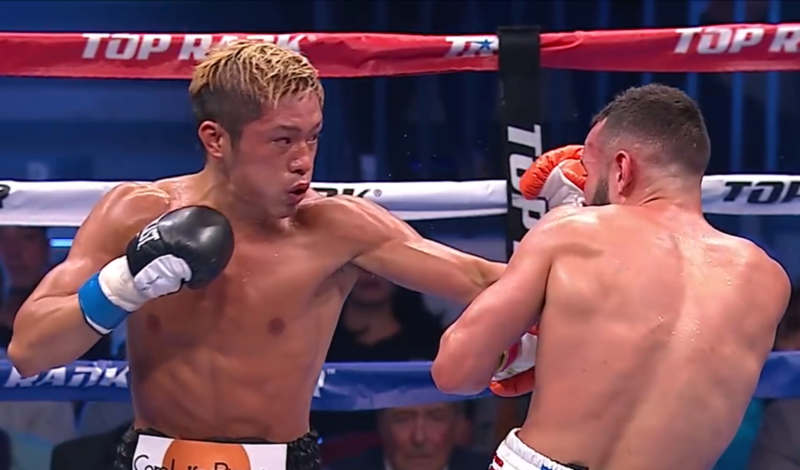 Shiro won a wide unanimous decision (120-108, 119-109, 119-109) against Saul Juarez, marking his fifth consecutive title defense after winning the title in 2017. The third world title fight on the show saw Takuma Inoue defeat Petch Sor Chitpattana by unanimous decision (117-111, 117-111, 117-111) to win the interim WBC bantamweight title. As the interim champion, Inoue will be the mandatory challenger to the WBC title, which does not have a titleholder. Rau’Shee Warren and Nordine Oubaali will fight for the vacant world title on January 19, 2019 as part of the undercard of Manny Pacquiao vs. Adrien Broner.